From pictures of his family to his adorable dog Angel, the actor gives us a sneak peak of his emotional side. Varun Dhawan may have played the intense character Raghu in Sriram Raghavan’s 2015 thriller Badlapur, but the actor is far from it in real life. Here we can see his soft side, as he wishes his mother Karuna Dhawan, Mothers’ Day. It’s a known fact that Varun is close to filmmaker Karan Johar. The actor debuted with Karan’s film Student Of The Year and is seen enjoying his spare time with the director’s adorable little daughter Roohi. So cute! This the cutest picture from the list. We see Varun introducing us to his sister-in-law Jaanvi’s daughter with this unique post. Creativity at its best. Varun wished his fans a happy Diawali with this heartfelt post. The Dhawans look so happy and we are happy for them! As Varun’s post says, the actor and his sister celebrated their first Rakshabandhan together after 29 years! We pray the siblings don’t have to wait this long for the next Rakhi, right guys? We all like posting embarrassing pictures of our siblings don’t we? Varun didn’t spare his brother Rohit and thanked him with this adorable picture from their childhood. 7. Varun posts this adorable picture with his dog Angel! Pictures speak a thousand words and it’s clear that Varun’s dog angel is his world. Look how adorable she is! Tempted to watch more movies? 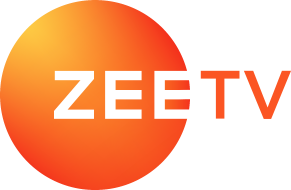 Look no further, as ZEE5 has an extensive collection of classics as well as latest Bollywood super hits. Varun Dhawan's Fun And Quirky Act In Main Tera Hero Will Leave You In Splits - Watch Now! Did You Know Jamai Raja Actress Nia Sharma Is The Third Sexiest Woman Of Asia?